DREHER TOWNSHIP -- Parents are expressing concern after a church announced it will hold a ceremony next week, and worshipers are encouraged to bring assault weapons with them, and the ceremony will be just down the road from an elementary school. The ceremony in Wayne County was planned before the mass shooting at a high school in Florida last week. Church leaders still plan to go ahead with the blessing ceremony, which has some parents of elementary school students on edge. Sanctuary Church and Rod of Iron Ministries are one in the same, run by the Moon family from South Korea who started the controversial Unification Church. Church leaders tell Newswatch 16 that state police wanted to know what the ceremony next week involving AR-15-style rifles is all about. At 10 a.m. next Wednesday, church leaders expect up to 600 people for a blessing ceremony, and many of those people are expected to be armed with AR-15s, the gun used in recent mass shootings across the country. "This will be a big thing for us. It's a new stage for us because it incorporates the rod of iron, as it is in Revelations. Revelations talks about the returning Christ ruling with the rod of iron." 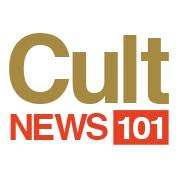 Tim Elder sat down with Newswatch 16 to explain the beliefs of the church, led by the Reverend Sean Moon. Moon is the son of the late Sun Myung Moon, who founded the controversial Unification Church that drew national attention in the 1970s and '80s. The Rod of Iron Ministries is an offshoot of that religious organization focusing on what it believes is the right of families to defend themselves with assault weapons. "This rod of iron is the AR-15, in today's terms." The Moon family also owns Kahr Arms, a gunmaker that moved to Pike County a couple years ago. Newswatch 16 was at the opening ceremony at that time in Blooming Grove Township. Church leaders say the AR-15s will not be loaded for the ceremony next week and safety zip ties will be used. However, state police are involved. Elder says troopers have reached out for more information. Just down the road from the church is Wallenpaupack South Elementary School with 280 students, plus teachers and staff. In light of recent gun violence at schools, the planned ceremony with assault weapons is concerning for parents. "It's something I would consider keeping my child home. It's scary," said Liz Zoccola. "I wish they wouldn't have it at all. I don't think there's a good time to have it, especially this close," Kendra Hanor said. The ceremony was planned before last week's deadly rampage at a high school in Florida. Wallenpaupack Area school officials are deciding what, if anything, the school will do next Wednesday in response to the ceremony down the road.